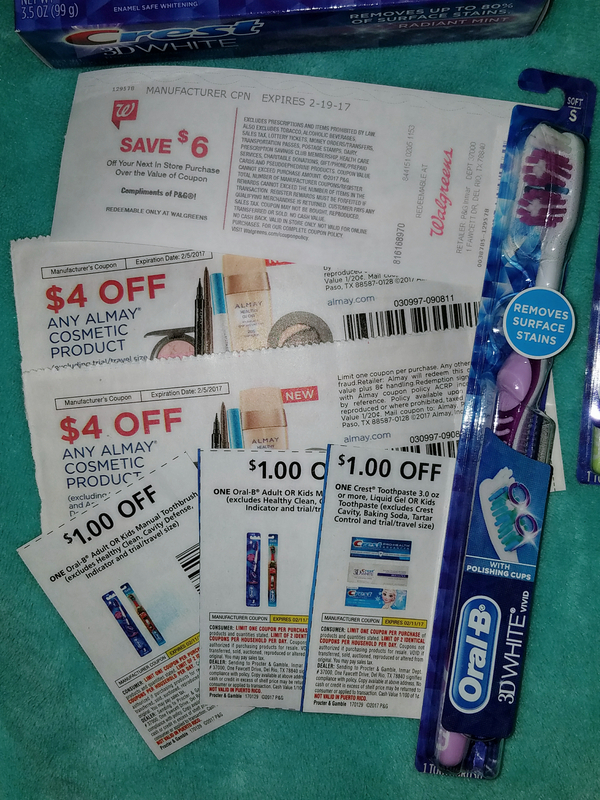 Before my favorite sports 🏈 event of the year kicks off, I went #extremecouponing @ Walgreens to score some FREE items after coupons, rebates & bonus points! 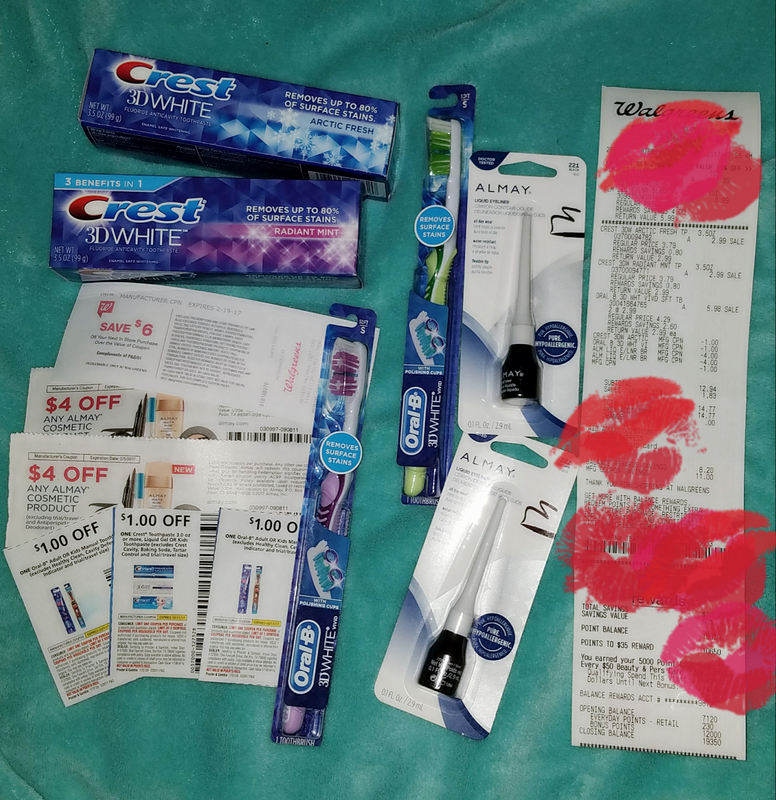 I took advantage of the Almay cosmetics BOGO 50% promo & oral care sale plus register reward offer. I choose two eyeliners priced at $7.99 each, two Crest 3DWhite toothpastes & two Oral-B White toothbrushes at $2.99 each. My retail total for the six items before tax was $32.14. 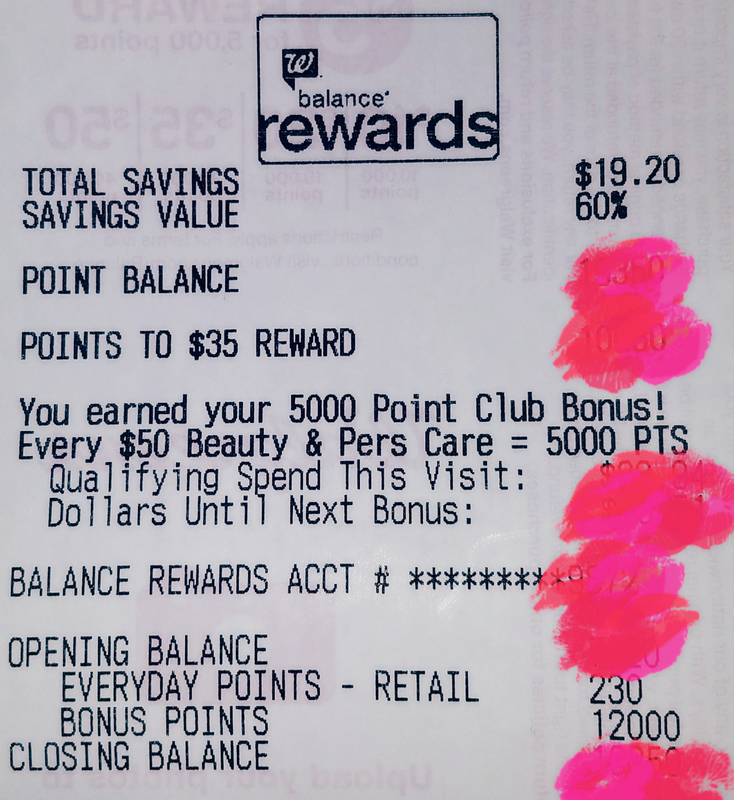 My balance rewards savings & sale prices gave me a new total of $23.94. Finally, I used five manufacturer’s coupons for an additional $11 off, which brings my final retail total before tax at $12.94. This transaction gave me $12 in rewards points & another $6 off a future purchase. Subtract the $14.77 with tax I spent, it’s almost like the store paid me $3.23 to shop 💸 (a girl’s dream job)! MONEY MAKER! Previous Post #ExtremeCouponing: Great Lash mascara for 50 cents! Next Post After coupons & promos, I bought a brand new VS PINK outfit for under $4!